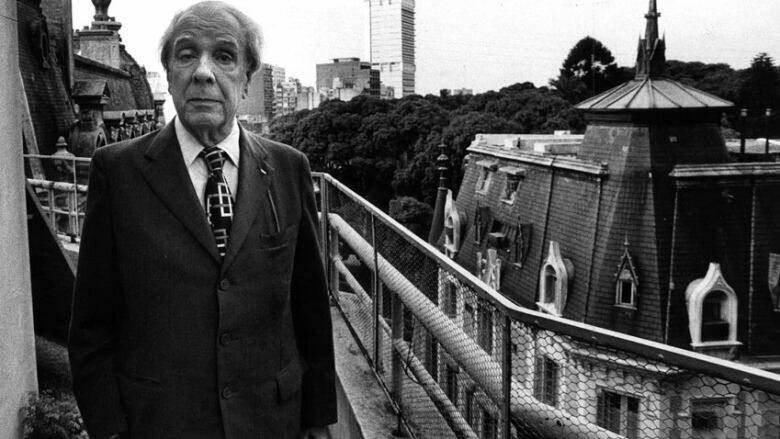 The Argentinian writer Jorge Luis Borges was profoundly shaped by the city he grew up in — Buenos Aires, and the city plays a major role in many of his stories. Philip Coulter goes on a walking tour of Borges' Buenos Aires in the company of the celebrated writer Alberto Manguel. Part 1 of a 2-part series. Philip Coulter goes on a walking tour of Borges' Buenos Aires, in the company of the celebrated writer, Alberto Manguel, who used to read to the blind Borges as a teenager, and who, like Borges before him, is now director of the National Library in Buenos Aires. Part 1 of a 2-part series. Part 2 airs Friday, July 13. If you talk to people who love books and ask them who they think the greatest writers of the twentieth century are, the reliable names of Beckett and Joyce will come up quickly. Pressed a bit more, many of them will eventually get to Jorge Luis Borges. Best known for his short stories filled with mirrors, dreams and labyrinths, Borges worked as a librarian — first, as a young writer, at the humble Miguel Cane Municipal library in Buenos Aires; and then later, at the height of his fame, as director of the National Library of Argentina. At that time, in the mid-1950's, the library was housed in this grand, now-faded, building on Calle Mexico. 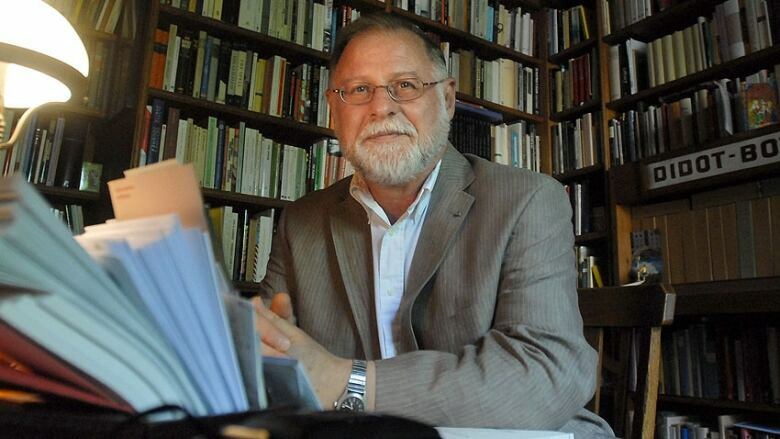 Alberto Manguel thinks that part of the reason Borges stuck mainly to short fiction and poetry was because of his blindness; it was easier to hold shorter works in his memory. Borges's father was blind, so when he started to lose his own sight in his thirties, he knew what was in store for him. He was a voracious reader, but now his precious books were slowly slipping away from him. After being appointed Director of the National Library in 1955, he wrote the beautiful Poem About Gifts, commenting ironically on God's twin gifts to him of both books and night. Gives me at once both books and night." Alberto Manguel ( Alain Jocard/AFP/Getty Images)Alberto Manguel is an Argentine-born writer, translator, and editor. He is the author of numerous non-fiction books such as The Dictionary of Imaginary Places (co-written with Gianni Guadalupi in 1980) and A History of Reading (1996) The Library at Night (2007) and Homer's Iliad and Odyssey: A Biography (2008), and novels such as News From a Foreign Country Came (1991). He was the 2007 CBC Massey Lecturer, and his lecture series, The City of Words, explores many of the ideas raised in Borges writings.